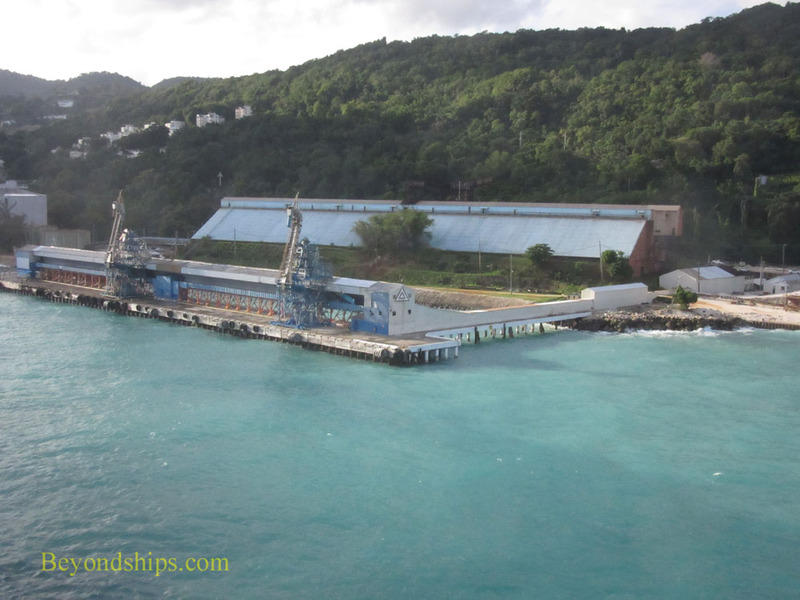 There are two cruise ship piers in Ocho Rios. The Turtle Bay Pier is a purpose built cruise terminal. It is connected directly to the center of town via a shopping area. As a result, it is a short walk to the public beach, the shops, the restaurants and watering holes such as Jimmy Buffet's Margaritaville. 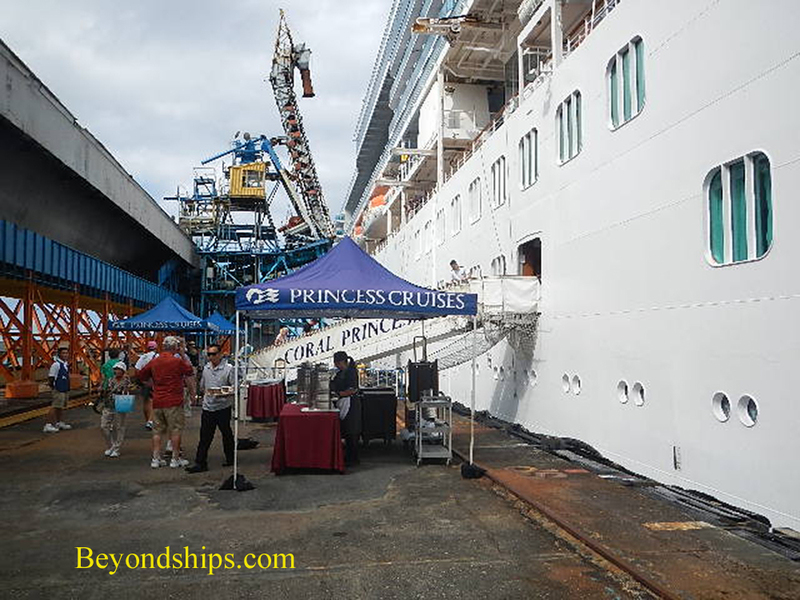 The imaginatively-named James Bond Pier is Ocho Rios' second cruise ship pier. It is used only when more than one ship is calling at Ocho Rios on the same day. Do not expect the sophisicated flare of Ian Fleming's famous secret agent. The James Bond Pier is the old Reynolds bauxite mine pier and its connection to James Bond is that it was used as a background in the film version of Dr. No. It still looks like an industrial site. The surrounding area has not been commerically developed. As a result, many cruise passengers walk from here into the center of Ocho Rios along the busy road that connects the James Bond Pier to town. Taxis are usually waiting by the entrances to the cruise piers. If you decide you want a taxi, take a licensed taxi and agree upon the fare in advance. Above: The James Bond Pier. Below: Coral Princess at the James Bond Pier.